I think this week is my favorite week of the year. The holidays are just around the corner but the stress hasn’t taken hold. Lights and decorations are going up everywhere. And as a football fan, what’s better than turkey dinner and three football games on a Thursday, right? It really is a good week. It also marks the start of the holiday movie season. Between now and the end of the year, we’ll be provided with many opportunities to watch all of our favorites and more. 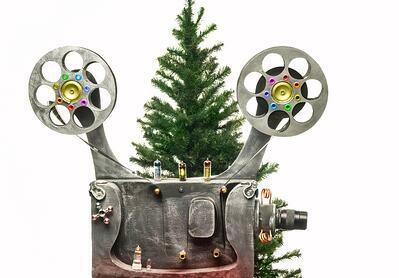 As a marketer, I've made some – what non-marketers may call crazy – observations about my favorite holiday movies that other people may not think about. To help you kick off the holiday season, I’m sharing four of those observations today. My favorite holiday movie is A Christmas Story. In fact, I try to take full advantage of the 24-hours of A Christmas Story every year. One of my favorite parts is when Ralphie Parker, receives his secret society decoder pin in the mail. When Ralphie finally receives the decoder, he cracks the code. Poor Ralphie. There was no secret at all. What a disappointment. That’s what your buyer personas feel like if they fill out a form on one of your landing pages to receive your offer only to find out, it’s something that doesn’t help them at all. Lesson: Make the effort to create relevant, educational content for your buyer personas. 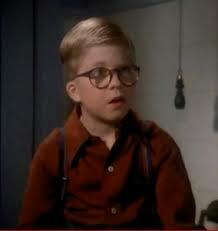 Don’t ever let them feel like Ralphie after he decoded the Ovaltine message. Whether you prefer the old version (1947) or the new (1994), this movie is all about marketing. After all, it’s the department store battle over who has the best Santa that creates the real story. In the 1994 version, it is Cole’s department store that hires Kris Kringle first to fill in for their “sick” Santa during the Thanksgiving Day parade but then to be their in-store Santa. When Dorey Walker, Cole’s parade director, hires him, she has no idea what she’s getting into – or that someday someone might say, that her Kris Kringle, is the embodiment of the inbound philosophy. He is helpful to Cole’s customers – so helpful that he sent a customer to another store to buy something cheaper. He educates. In more than one scene, he teaches parents or children all about Kris Kringle, reindeer and the North Pole. He can speak the language of the customers. Remember, when he talks to the deaf girl in sign language? Talk about knowing your buyer personas! And all without knowing he was marketing. That’s the way to do it. Buddy the Elf really knows how to bring the Christmas cheer all while maintaining a healthy diet by following the four main food groups: candy, candy canes, candy corns and syrup. He’s also an advertiser’s dream come true. Remember when he takes Jovie out on a date? He takes her to a diner where he blindfolds her and has her take a drink from the cup he gave her. She tries it and says it’s a crappy cup of coffee. And Buddy replies, “No. It’s the world’s BEST cup of coffee.” That’s what the sign said, so he believed it. Most customers and prospects are not like Buddy. They will not buy your product or service simply because you say it is the world’s BEST. In fact, your customers really don’t care about any of the features of your product or service. They want to know how it helps them solve whatever problem it is they have. This is where establishing your teaching point-of-view through your content comes in. Helping them understand their problem before you propose how to fix it builds trust and helps guide them through their buyer’s journey. Who doesn’t love Clark Griswold - the tree, the lights on the house, the sledding hill - and cousin Eddie. We all were moved when cousin Eddie goes to Clark’s boss’ (Mr. Shirley’s) house to right the wrong he did by cutting Christmas bonuses and replacing them with a membership to the Jelly of the Month Club. Because Clark had always gotten a bonus, he had already committed his to a new pool for the family. So he goes a little crazy and the whole kidnapping ensues. 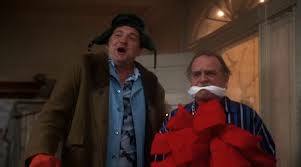 Now maybe the take-away from Christmas Vacation is more about communication than it is sales and marketing. Even Mr. Shirley’s wife agreed that cutting the bonuses was a “cheap, lousy way to save a buck!” But Mr. Shirley’s bigger offense was not communicating his intent to cut the bonuses to his employees who had obviously received them in the past. Unfortunately, poor communication around things like bonuses happens at real companies…not just those in movies. I encourage all business leaders to take note and learn this lesson. Take care of your employees. Be transparent. Don’t ever surprise them with something like this. It will go a long way to building a productive, high-performing work force. My final observation really doesn’t have a marketing, sales, communication or business tie. It’s just something we should all try to keep in mind as the full craziness of the holiday season is unleashed upon us – especially when you’re experience “bag rage” or some other kind of shopping nightmare. 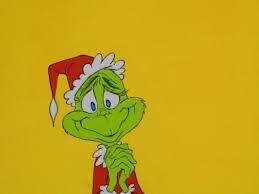 It’s the lesson the Grinch learns at the end of How the Grinch Stole Christmas. Whatever holidays you celebrate, take time to have fun, enjoy the time with your family and friends and watch some movies!